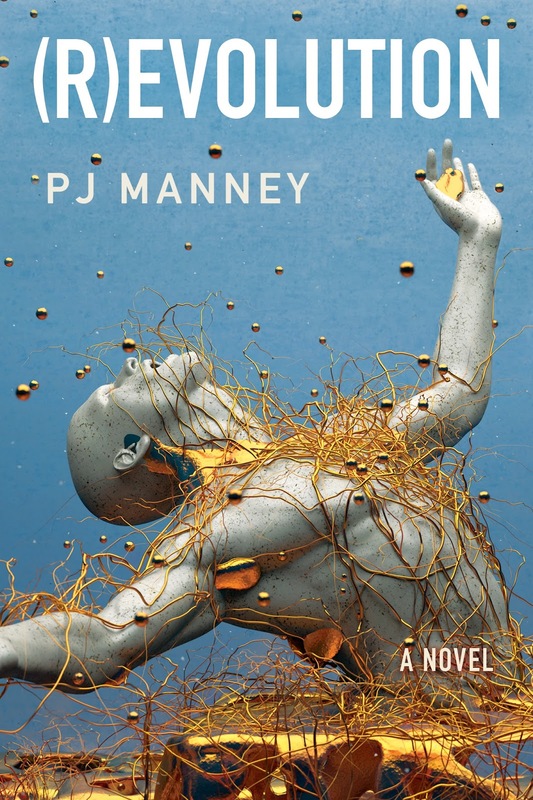 PJ Manney’s fast-action novel (R)evolution (47North, 2015) has all the ingredients of a Hollywood thriller: a terrorist attack using nanotechnology, a military-industrial conspiracy, a scientist who augments his brain—plus, of course, romance, betrayal, and rapid-fire plot twists. The movie-style storytelling comes naturally for Manney, who spent most of her career in Hollywood, developing films and writing for television. “I don’t see myself as a literary stylist or as a great wordsmith. I see myself as a … Hollywood-influenced storyteller,” she told me when we spoke on New Books in Science Fiction. (R)evolution explores transformative technology—a brain-computer interface that relies on nano-materials to create a prosthetic hippocampus and cortex. Manney’s protagonist, Peter Bernhardt, seeks to use the technology for good—to aid brains destroyed by Alzheimer’s disease—but business and political forces try to grab the science for their own nefarious ends. Eventually, Bernhardt experiments on himself, pursuing super-human capacities to literally outsmart his enemies.